Quality process piping acts as the bones of any modern structure. The amount of manpower and money that goes into servicing underperforming or rotten pipes is staggering, and a drain on resources that could be put to better use elsewhere. After many generations of engineers struggling through the pitfalls of common piping methods, such as steel and aluminum, the world of industrial process piping got a boost with the advent of Pex pipes. Pex pipes are the world’s most durable and sustainable solution for serving as a conduit of liquids through piping. The unique durability and versatility of Pex pipes makes them ideal for process piping needs. Every infrastructure is different. Some of the most critical mining of commodities and products, that are essential to world economies and survival, are harnessed in some of the most challenging climates and environments on the globe. Compared to other pipe options, only Pex can sustain grueling temperate variances as well high-pressure environments. These extreme climates and situations can often erode and corrode traditionally-used piping methods. 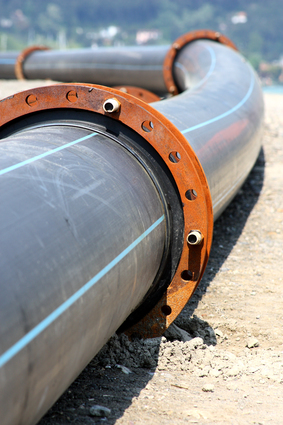 In the past, costly replacements and constant maintenance were simply common factors of using pipes in infrastructure. Pipes that break down not only increase cost, but they can cause a detrimental increase in safety hazards. Safe and efficient methods of process piping are critical in allowing workers to safely and effectively transport liquid materials. A large scale project or facilities plant simply cannot afford to have process piping carrying potentially hazardous liquids fail. The added cost factored in when taking into account worker’s health and negative public relations is simply unfathomable. Process piping serves many versatile purposes: from draining and clearing liquid away from an area so that a product may be mined, to serving as a transport method for the prized product itself. The correct pipes make it able to transport raw and processed fluids in a safe and efficient manner through process piping. The most intricately and well-designed infrastructure is only as good as the process piping that outfits the design. Unfortunately, many common pipe materials have proved to be unsustainable and not as durable as previously thought. The result is unforeseen replacement and maintenance that eat away at the bottom line of expensive projects. The long term cost of constant maintenance and updating on a piping system can have staggering costs, which stagnate a project. While some of these shortfalls are visible a few years after installation, others show up almost immediately. This creates a stall in the project and upfront costs that must be made up for elsewhere. Aside from the obvious budget toll that using the wrong process piping can create, there is an even greater worry. That worry is safety. A large scale project or facilities plant simply cannot afford to have process piping carrying potentially hazardous liquids fail. The added cost factored in when taking into account worker’s health and negative public relations is simply unfathomable. The health and safety of workers and project managers, as well as the public at large, who live near a facility or project site, is innumerable.